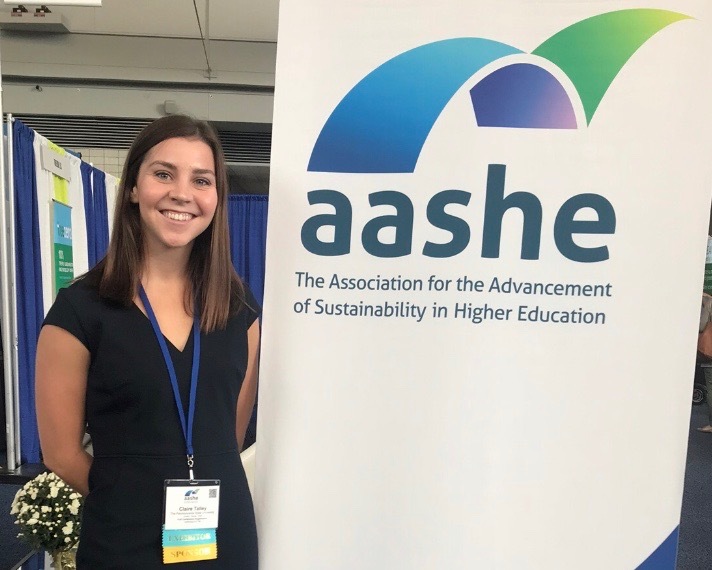 Claire Talley is a junior at Pennsylvania State University, where she studies Education and Public Policy with a focus on Sustainability Education. 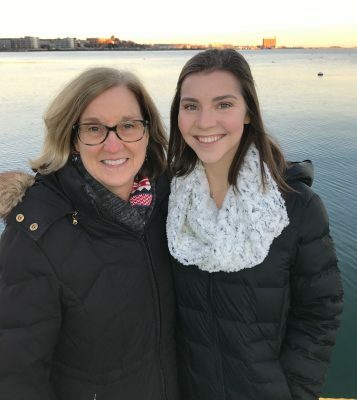 She is an Austin Independent School District alumna, having attended public school at Hill Elementary, Murchison Middle, and Anderson High School. This past summer, Claire was an Education Intern at EcoRise where she assisted with outreach and communication with EcoRise teachers, and assisted with planning EcoRise’s first annual three-day professional development summit, the Summer Institute. 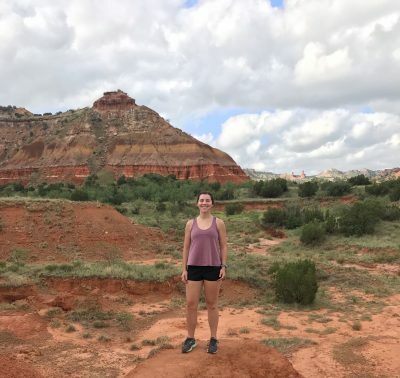 In this post, Claire explores the influence of her early experiences in Austin—including a high school Environmental Systems course—on her current and future career path. Born and raised in Austin, Texas, I have always appreciated the environmentally aware city ordinances. The new city-wide composting program, strict building energy efficiency codes, and nonsmoking public spaces policy are part of a policy legacy that has preserved a bounty of pristine natural areas for hiking, swimming, and being active in the community. The general public awareness of environmental conservation has also been exciting, as going green is part of the hipster-Austin vibe. My parents raised me in this community to love the outdoors and to be aware of the impacts my actions have on our environment. Both of my parents worked for the Texas Commission on Environmental Quality and serve as role models for translating my passions into a career. Growing up in this context was very encouraging, and I am grateful that my parents decided to raise a family in such an eco-progressive area. I am also grateful for having such a high-quality public school experience through Austin ISD. When I was young, one of my parents and I would walk to Hill Elementary every morning and afternoon. Hill made a significant effort to create recycling programs, teach students how to save water and reduce energy, and promote an environmentally friendly school. More recently, Hill has started a thriving Green Team headed by the 2016–17 EcoRise Teacher of the year. It was not until my junior year at Anderson High School that I had the opportunity to take a class dedicated to understanding what environmental awareness actually is. During my junior year, there was a new course being offered called Environmental Systems, taught by EcoRise teacher Ashton Hall. The goal of the course was to introduce students to scientific concepts and principles that make up the relationships in the natural world. It focused on natural and human-made environmental issues, the risks associated with each, and the solutions for resolving and preventing them. Throughout the year, this course taught me a great deal on the interconnectedness between environmental concerns that created a bigger picture of Earth’s natural systems and a changing climate. This academic experience began to open my mind to a living world that is more interdependent, inclusive, and essential to human society. After taking Environmental Systems, I felt like I had a more meaningful understanding of the environmental challenges humans face, how they are exasperated, and why they are so complicated to resolve. With this new mindset, I took on senior year and beyond. I started at Pennsylvania State University in the Fall of 2016. I chose a school across the country because of its esteemed Educational Theory and Policy undergraduate program. One thing I was absolutely sure of: I wanted to work in a school system to cultivate real change. I believe that society is highly affected by what is learned in the classroom. If society is fractured, we have to look at what we teach—and how we teach—our children. In the Spring semester of my freshman year, I found a course titled Sustainability in Education. The objective for this class was to understand sustainability, or the “simultaneous pursuit of human health and happiness, environmental quality, and economic well-being for current and future generations,” and its role in structured learning. I knew that I was interested in ecological issues because of Environmental Systems, and I was excited to understand how it related to education. At the end of a semester of learning about sustainability education and working with a local elementary school, I realized a new goal: to promote environmental literacy as a learning outcome through physical space, curriculum, and pedagogy in order to inspire a truly harmonious living world. I have continued to take advantage of opportunities to learn more about what and how sustainability can be embedded into schools, classrooms, and districts. This summer, I had the chance to work with EcoRise in Austin as an Education Intern. EcoRise is a nonprofit organization that works with teachers from around the U.S., including my former Environmental Systems teacher, Ashton Hall, to promote environmental curriculum, fund student projects, and support schools in lowering their footprint through Eco-Audits. Being an EcoRise team member has been incredibly encouraging as it is inspiring to see a small group of people, united through the same passion for the environment and for education that I have, doing such real and impactful work. I hope to continue my education after my undergraduate degree in order to grow my skills to advocate for, research, communicate, and implement sustainability education in classrooms and schools. Claire’s access to EcoRise curriculum was made possible thanks to donors who believe in EcoRise’s mission to empower the next generation to sustainable leaders. To help spread EcoRise programs to more classrooms across the U.S. donate today! ← Join a Global Day of Giving with EcoRise!